“All pork cuts”? That’s good to know, as our first taste test with BBQ Bob’s is on pork skewers. But first, let’s look at the sauce up close. Ingredients: Cider vinegar, tomato concentrate, vinegar, agave syrup, light brown sugar, water, sugar, vine ripened red tomatoes, high fructose corn syrup, corn syrup, salt, oleoresin paprika, liquid smoke, spice, onion powder pepper, granulated garlic, caramel color, worcestershire seasoning, citric acid, cayenne pepper, natural flavoring, dextrose, oleoresin capsicum, sulfur dioxide. Texture & Appearance: A reddish brown color is flecked with spices and seasonings. Black pepper flecks are prominent too. 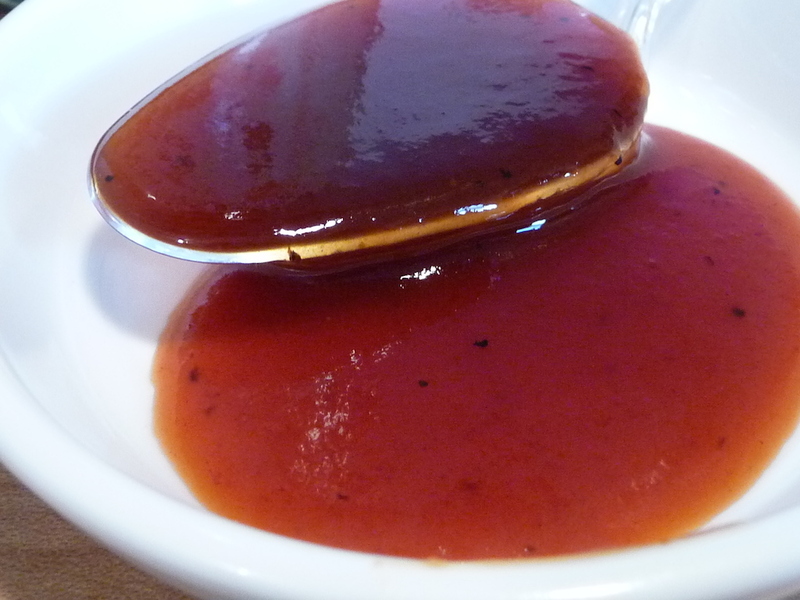 The sauce is also shiny and relatively thin in consistency – more of a corn syrup texture. Glossy. Taste Straight Up: A silky coating on the tongue and mouth leads us into a classy sauce – there’s some pleasant black pepper spice or “heat” if you will. But overall, the sweetness from the syrups really carries the biggest flavor. A very light vinegar finish comes at the end. Let’s see how it tastes after we cook or grill with the sauce. Classic. Packaging: A big 19 ounce glass bottle contains the sauce. 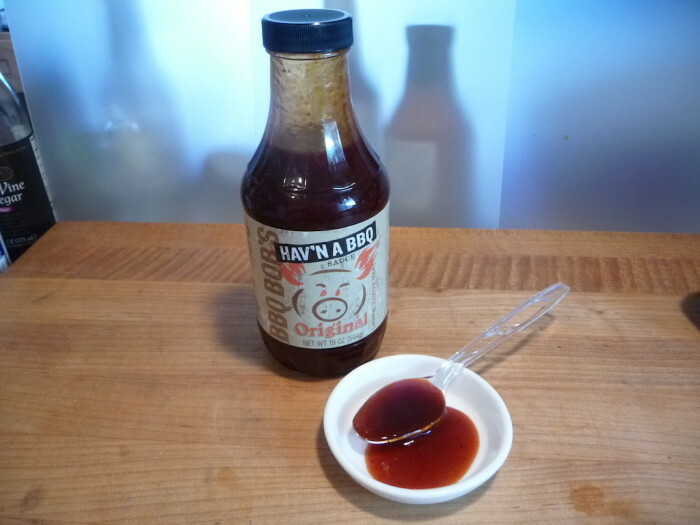 The label and graphics are simple in colors and a cartoony pig adorns the label. The word “Original” is also prominent – is there another flavor to come? Nice layout. 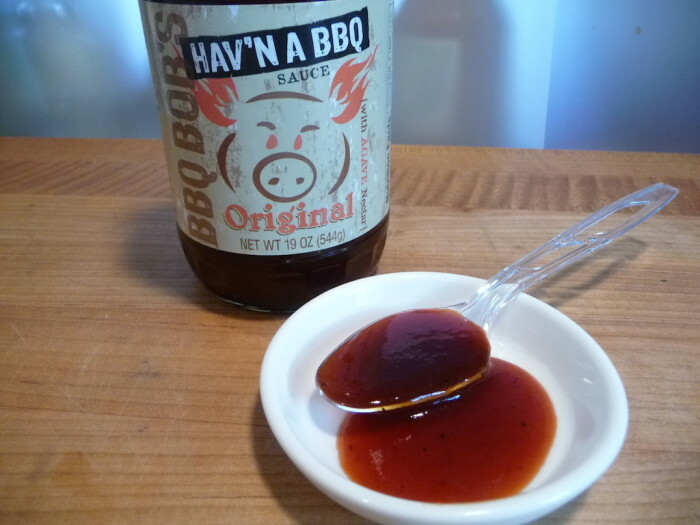 We’re brushing BBQ Bob’s Hav’n a BBQ sauce onto some pork skewers as they cook over direct heat on the grill. 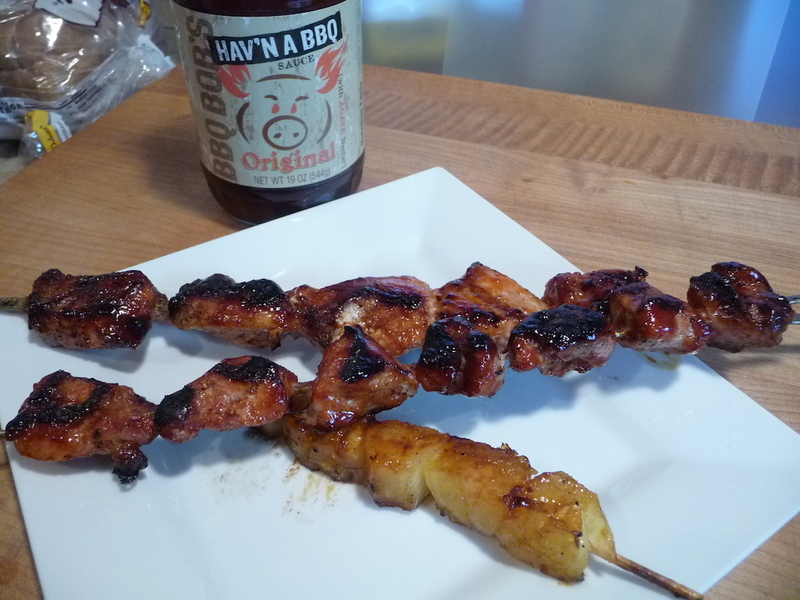 And for fun, we skewered some pineapple chunks and brushed BBQ Bob’s on them as well. Marilyn: There’s just a hint of a vinegar edge to the flavor of the sauce on the pork skewers. It’s a subtle sauce – not overpowering at all. A lot of the sweetness has cooked out and we’re left with a smoky and sticky coating. 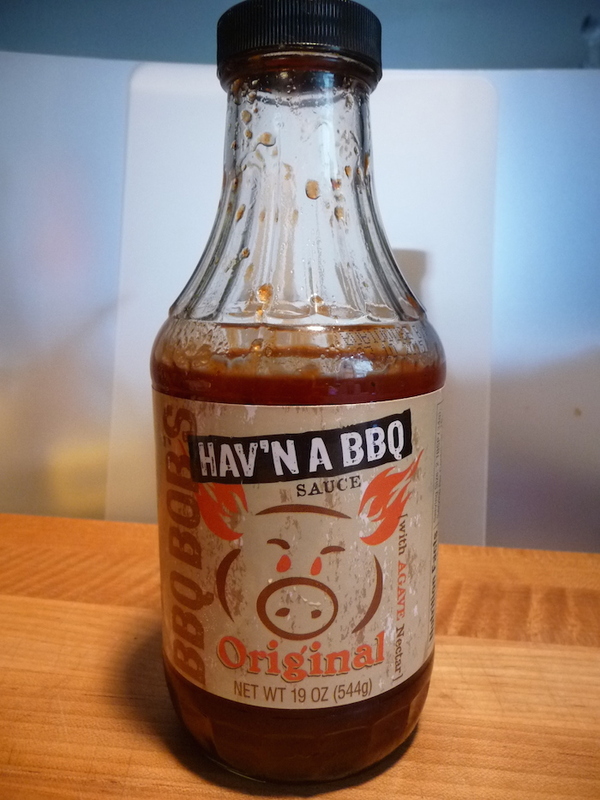 I think this sauce would fare better on a fattier piece of meat – whether that be pulled pork, or even some chicken parts. 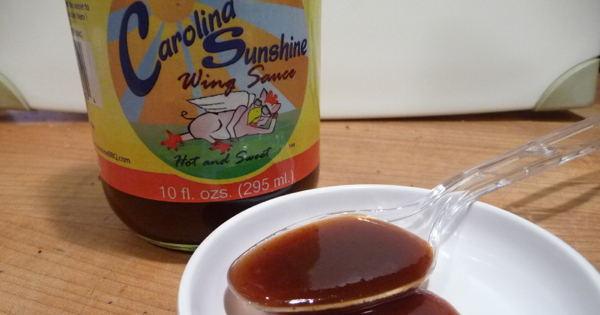 Marilyn’s rating: On our scale of 1 – 5, I would give this – it’s a pleasant enough sauce, but nothing spectacular. Brian: I’m disappointed in how much this sauce “broke down” after cooking. It’s just a thin glimmer of what it started out to be. This is not a thick, gloppy sauce – especially after cooking. Maybe it would make a great base to add to – to make it your own flavored sauce. Doctor it up a bit with either spices or other flavorings – chiles, or fruits would fit nicely here. Brian’s rating: – 1/5 Stars from me. Perfect for a tame, mild bbq sauce. If this were the 1960’s, I could see this sauce on every red plaid tablecloth in the backyard. This sauce is of the highest quality in overall taste and makeup. It is truly much better than any you’d find on the grocery shelf. It’s just a bit tame, timid and mild for our tastes. We like a bolder sauce, in both texture, taste, and overall flavor hit.